Well if you think Citizen Tv anchor Jacque Maribe is always serious as she appears to be on your screens then rest assured that’s not the case as at the moment that’s how her job requires her to be. 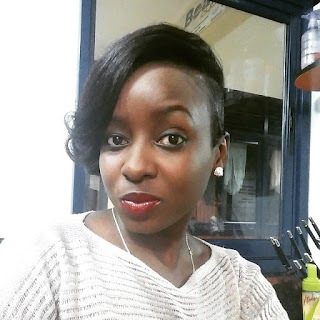 Here is a photo of the other side of Maribe. 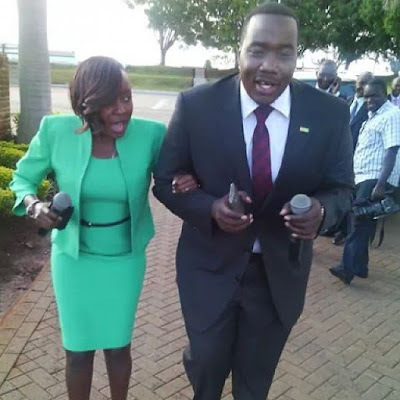 The lass were caught on camera enjoying the a moment after a hard day’s work with the one and only Willis raburu. They seem to have pulled the attention of other journalists who are at bay watching the two doing their ‘dance’.